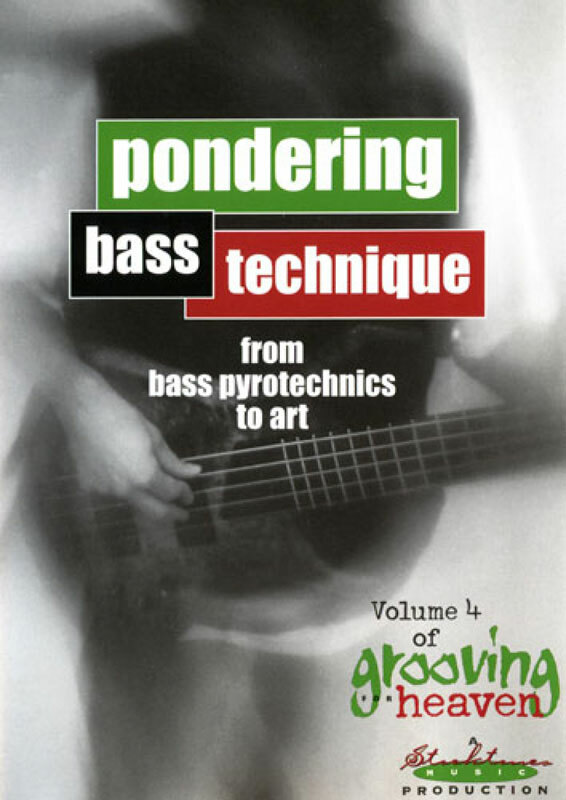 Pondering Bass Technique emerges as the first Grooving for Heaven volume dedicated to the advanced techniques employed in the modern bass vocabulary. As opposed to presenting a "glossary of riffs", Norm demystifies these techniques to allow the committed bassist to assimilate them for the broadest possible range of artistic expression. Features performances (A Tender NAMM Moment, Pondering the Sushi, The Star Spangled Banner, and more) from his critically-acclaimed solo debut, Pondering the Sushi. A comprehensive look at the mechanics of the modern slap vocabulary (including double-thumbing and more); builds upon the introductory level slap curriculum in Volume 2. Further explores the modern slap vocabulary (including double-thumbing and more) with advanced exercises to develop dexterity and accuracy of the technique. Also includes many exercises, examples and practical insights into musical application and refinement. Mechanics and musical application of the popular two-handed tapping technique. Norm explains and demonstrates a variety of approaches to chordal playing, including many chord forms (fretboard fingerings) for a variety of chord qualities. Broaden the sonic palette with a variety of techniques, including artificial harmonics, muted thumb and volume swells. Practical examples and suggestions for avoiding "compartmentalization" of technique. Includes Norm performing his popular solo version of The Star Spangled Banner. Norm expounds upon and updates his introductory look at the use of effects from Volume 1. An introductory look at solo bass arranging, with practical suggestions and demonstrations to get you started on this fun (and musically educational) endeavor. Includes Norm performing his solo rendition of Bach's Jesu, Joy of Man's Desiring. Norm performs this popular fusion piece from his Pondering the Sushi project.